Marauders. This is of the Marauders and additional characters of that era of time. I don't own this btw..... Wallpaper and background images in the animé Harry Potter club tagged: potter marauders james peter sirius remus harry. 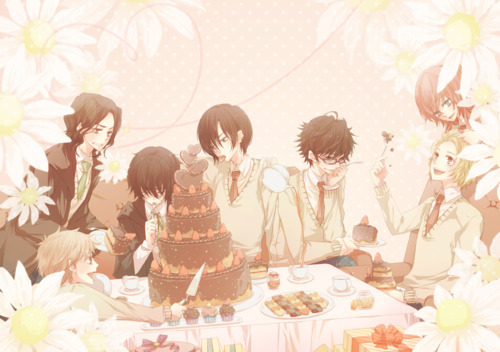 This animé Harry Potter photo contains bouquet, corsage, posy, and nosegay. There might also be camélia and camelia.